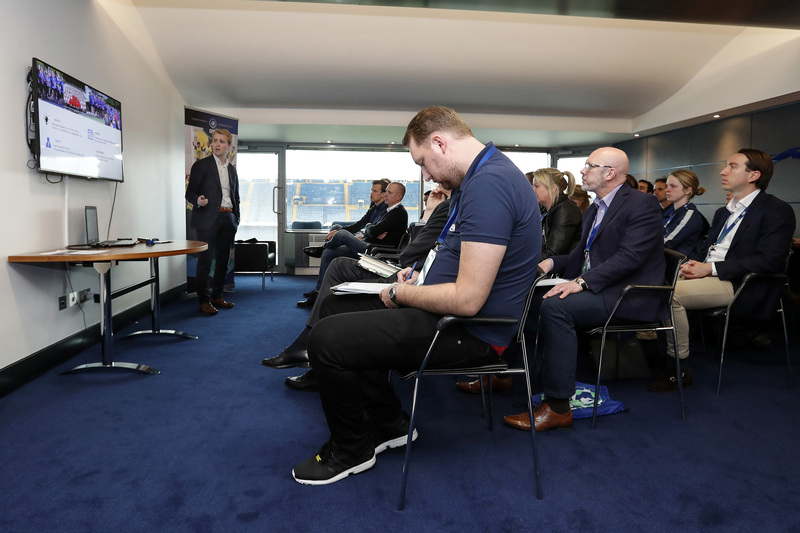 Following on from a great first day at the 12th EFDN ‘#Morethanfootball’ Conference the energy and enthusiasm continued into the second day with EFDN CEO, Huber Rovers, starting things off with a presentation on the EFDN’s Healthy Football League, launching in August this year, the online healthy lifestyle competition which sees fans winning points for their own club, as they lose weight. 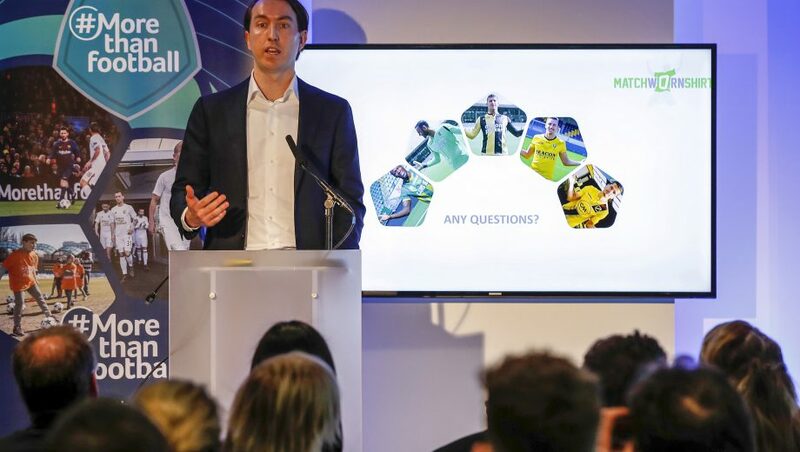 Matchwornshirt co-founder, Tijmen Zomderwijk, was next up in the Bonetti Suite explaining how they can provide clubs with an additional revenue stream by auctioning the match shirts of their full team from key matches. 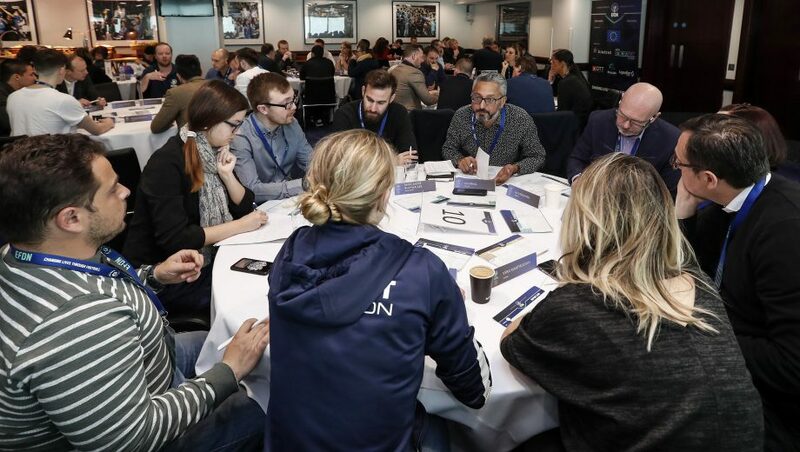 It was then straight into the second set of networking roundtables after this, with these taking a slightly different format than those from the first day, each table having a designated subject and hopefully all participants having chosen their preferred subjects in advance. 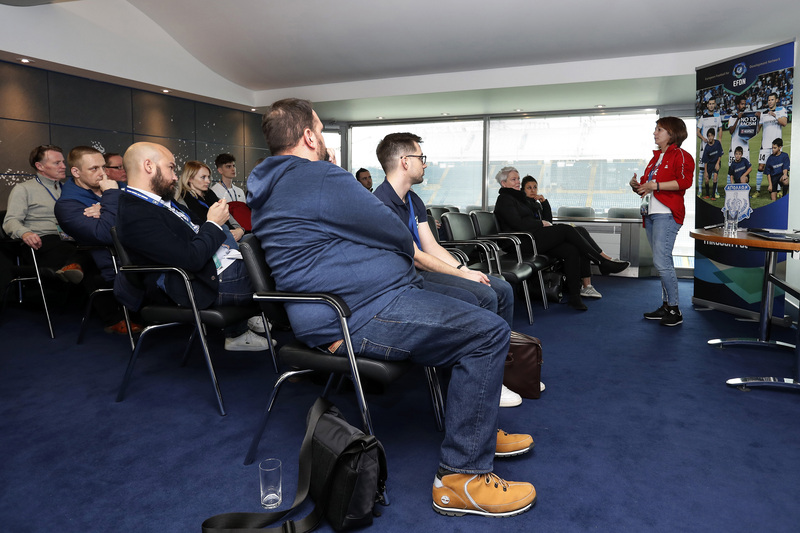 This session saw the participants discuss the current state of play in the area of their given subject at their organisations, what their long and short term goals would be, what’s needed and how they can achieve these and who can support them in doing this. 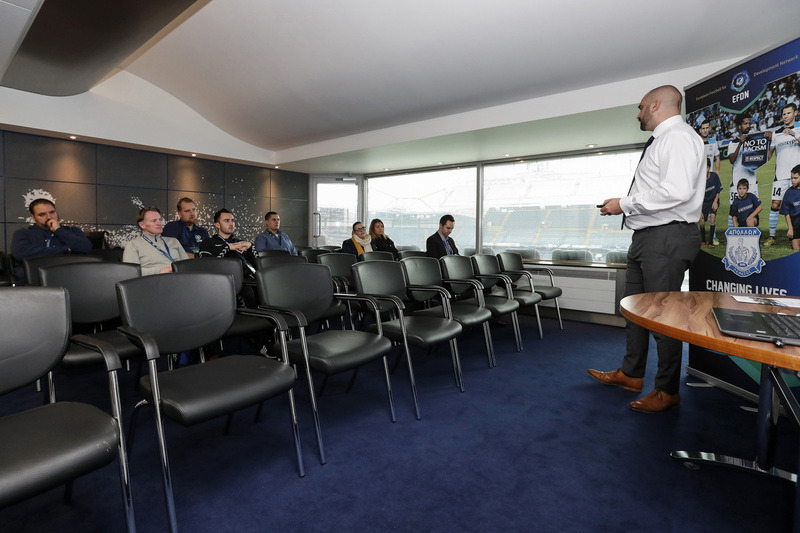 The completed cards will be collated and the outcome from each roundtable shared with everyone in the coming weeks. 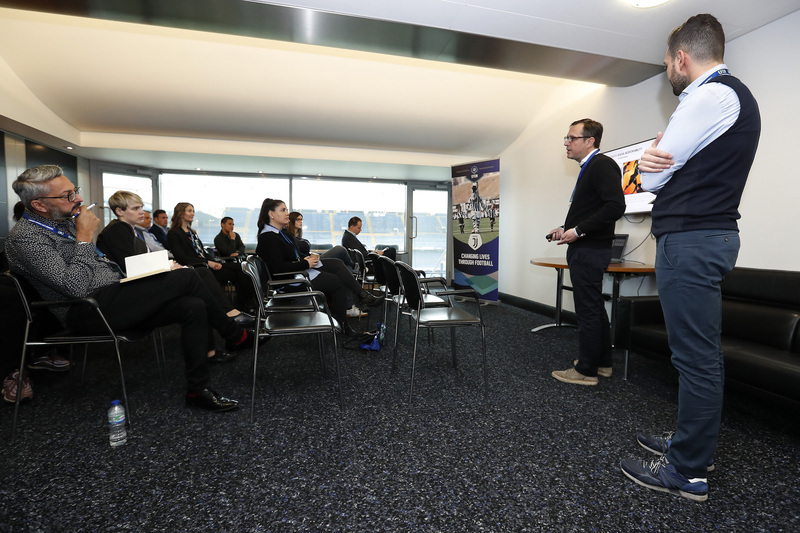 The networking roundtable moved straight into the last set of Breakout sessions with Anastasios Papadopoulos and Lazaros Bachtsevanos giving an interesting presentation of PAOK FC’s CSR strategy in the midst of the socioeconomic crisis in Greece since 2008, in Breakout session 1; In the second breakout session room, Peter Gheysen, Manager of the Club Brugge Foundation discussed their successful “Start to Run” programme; through in session 3, Gary Hoknull of Hibernian talked us through Young Football Volunteers Conference, Volunteer & Inspire Project and how the programmes have provided a gateway to employment to some participants; Session 4 saw Paula Aguilar of the Benfica Foundation speaking about their experience of running the first walking football programme in Portugal; while over in Session 5, Carina O’Brien and Shane Fox from the Football Association of Ireland and Bohemians FC, presented the joint venture between the FAI and Welsh social enterprise, Vi-Ability, with the collaboration also involving leading Irish and Welsh football clubs and enabling the implementation of various programmes such as walking football, numeracy education, supporting elderly with early set dementia, and many more. 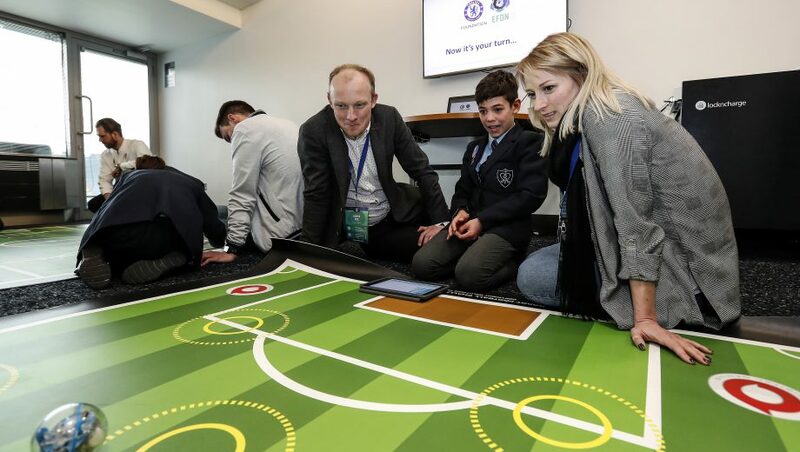 After lunch, the final sessions of the day, and indeed the conference, were the brilliant practical sessions and workshops from the event hosts Chelsea Foundation. 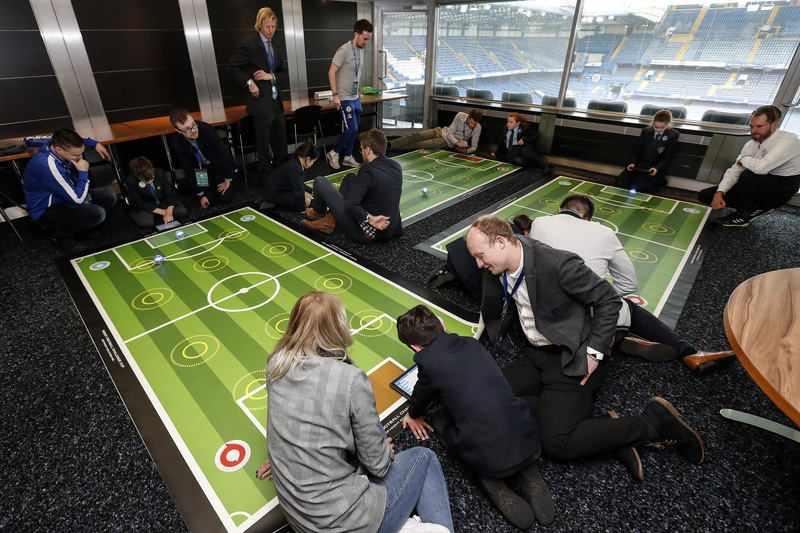 These included a hands-on experience for the participants in the Digital Blue workshop with Matt Mead and Sam Gaskin-Kemp, along with some of the kids taking part in the programme, giving attendees the opportunity to see how the Foundations innovative STEM programme (specifically here dealing with coding) works first hand. 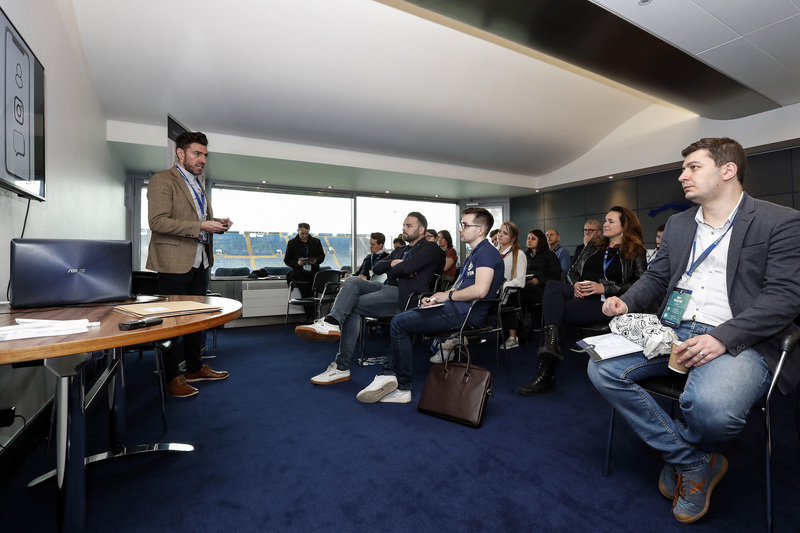 Carl Southwell ran the entrepreneur and 45-minute business challenge with the attendees given a practical session which included creating a social media plan and presenting their own ideas. 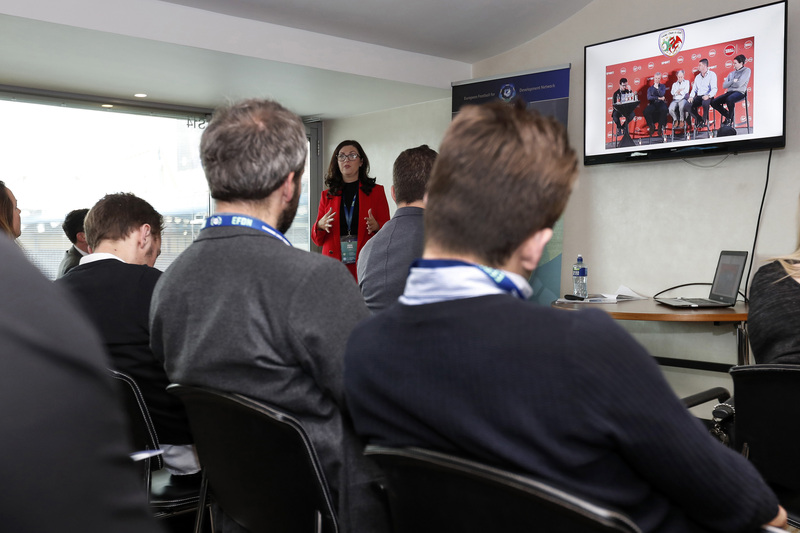 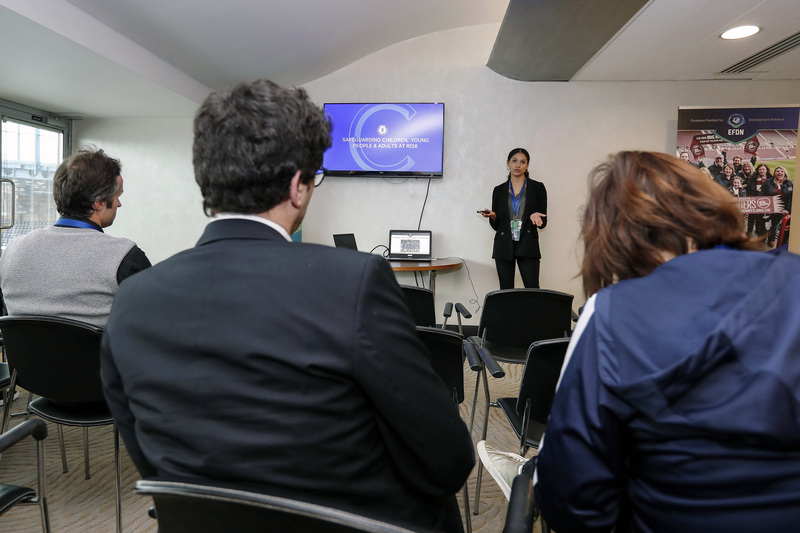 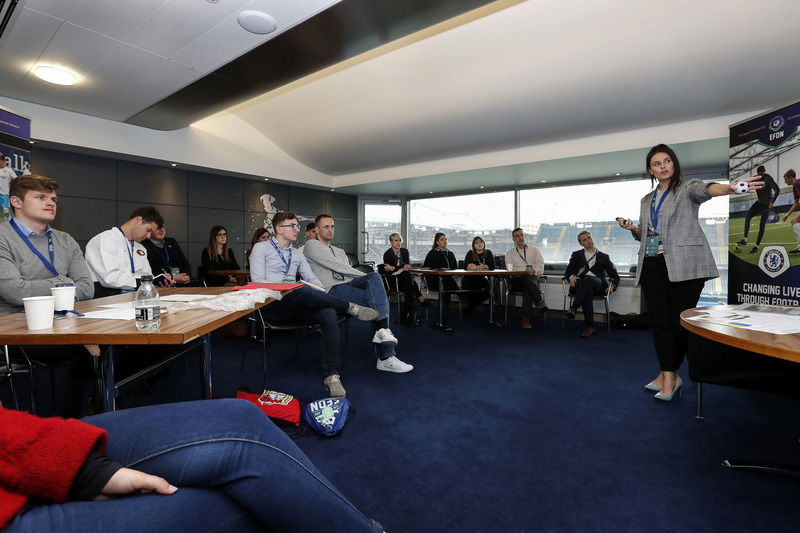 In the third of the workshop sessions, Joanne Tighe presented the Chelsea Champions programme with the help of a Chelsea Champion and some of the students who shared their experience of the programme with the attendees. 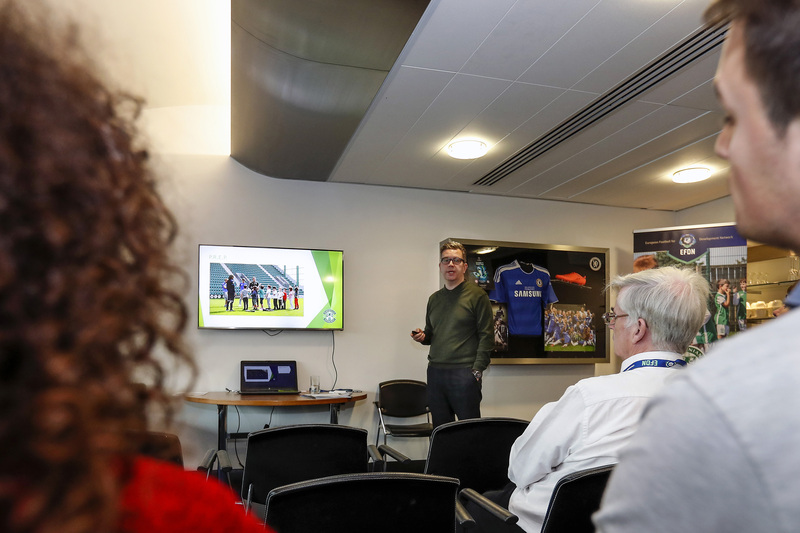 Through in the fourth room, Andy Rose gave us a great workshop on removing the fear of coaching disabled people and empowering coaches to give them the tools to provide inclusive practice. 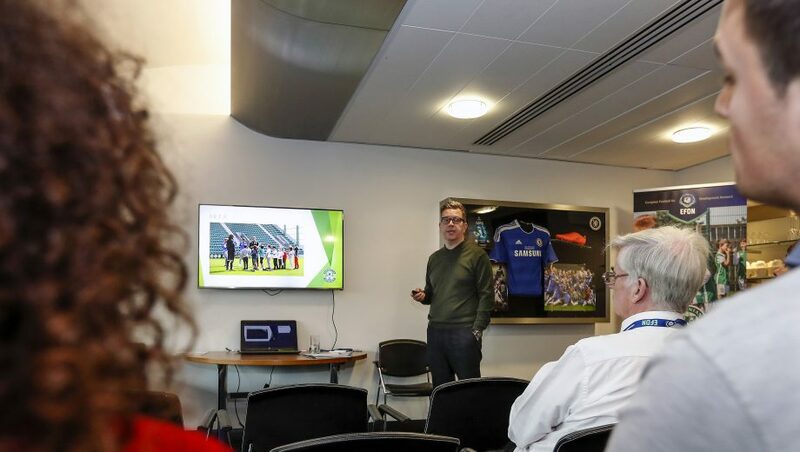 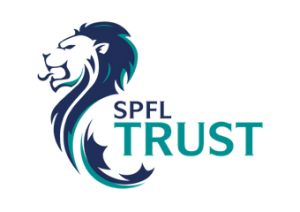 Finally, the 5th practical workshop saw Chelsea FC Safeguarding Manager, Dani Taylor giving practical examples to demonstrate best practice and how the club works to support children, young people and adults at risk and enable them to participate in football in a safe and stimulating way.